All students who qualify for the National Student Financial Aid Scheme (NSFAS) at the University of Johannesburg (UJ) will receive financial assistance. This is according to UJ Student Representative Council President Levy Masete. He says the decision to help the needy students came after several “steamy” meetings with the Management Executive Committee (MEC). 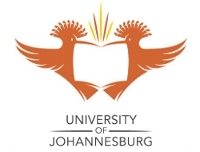 Over 2000 senior and aspiring students at UJ were told that their applications for financial assistance could not be approved due to lack of finance. But that did not stray away UJ SRC leaders from exploring all avenues in a bid to assist financially needy students. Speaking to the SABC Digital News this morning, Masete said although efforts to get urgent intervention form Allied businesses were fruitless, they continued to pressure the University management to make a plan. Phosho said the University would borrow NSFAS R113.2 million which will cover the remaining 2095 students who qualify for the finance. According to SRC Secretary-General Roborobo Phasha, UJ received R60 million this year to assist financially needy students but added that the amount was not sufficient to cover half of the 3500 students who qualified for financial help. “There was a serious shortfall of R140 million. And that’s where the University had to come on board,” says Phasha. He says this meant the University would borrow NSFAS R113.2 million which will cover the remaining 2 095 students who qualify for the finance. He added that had the meeting not materialised to good ground, they would have considered other options, which included embarking on a strike. Meanwhile, students who were in the dark over finances expressed their gratitude to the SRC, describing it as an “epic victory”. Khethiwe Masango, a senior BCom student who was dropped by NSFAS due to insufficient funds said she was excited beyond measure. “I don’t know what to say. This is wonderful. I was stressing because my single mother wasn’t going to afford paying for my tuition fees,” says Masango.